Clogged sewer line or drain pipe? 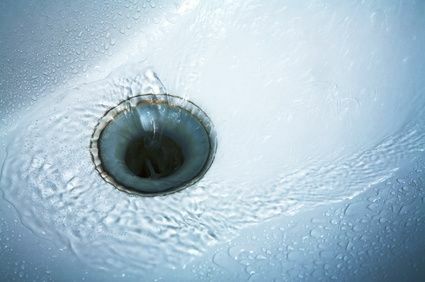 At A1 Sewer & Drain Services, we provide drain and sewer cleaning with hydro jetting for NJ homeowners and businesses. Our team of experienced NJ sewer plumbers can eliminate even stubborn clogs, restoring water flow and preventing damaging sewage backflow. For same-day sewer cleaning in less than an hour, call us any time at A1 Sewer & Drain Services. To clear out clogged sewer pipes and drain lines in NJ, we use hydro jetting equipment paired with sewer inspection cameras. Hydro jetting allows us to clear out debris from drains and sewer pipes, and for sewers, the nozzle and hose can enter through the cleanout. 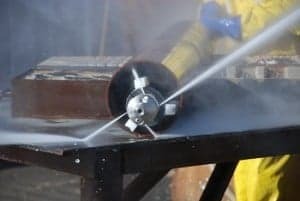 Hydro jetting nozzles spray streams of water at very high pressures, which cuts through debris and breaks it apart. Over time, materials can build up inside your sewer main line, eventually necessitating professional sewer cleaning. This ranges from greasy materials from solid waste, to paper towels and feminine hygiene products, to sediment and tree roots that get in from outside. 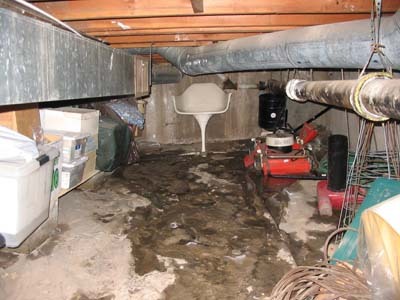 Once a sewer clog begins to set in place, it tends to grow over time by accretion. Eventually, the pipe becomes constricted, making it difficult for water and solid waste to pass through your sewer pipe and into the city sewer mains. This can create nasty sewer backflow, potentially causing costly property damage. Sewer hydro jetting is a quick process, taking as little as 30 minutes to complete. Before starting a sewer cleaning job, contractors use a sewer camera inspection system to look inside the pipes. 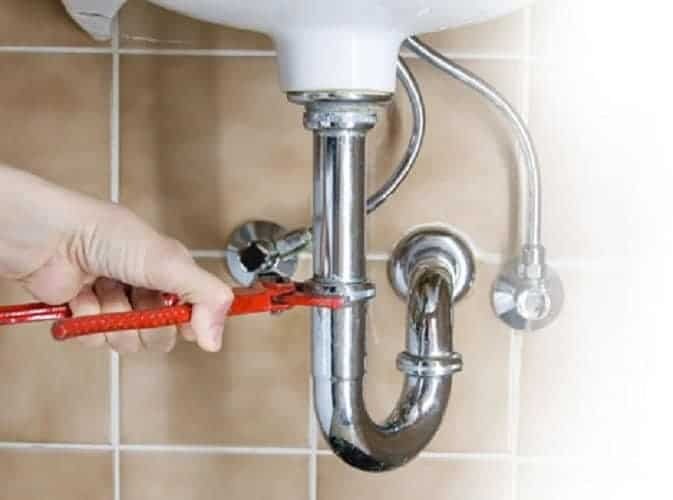 This helps plumbers choose the right nozzle to effectively clear out debris from the inside of your sewer or drain pipe. Many clogged sewer pipes are also cracked or broken. Tree roots are a leading cause of clogged sewer pipes and drain pipes, and they usually get in through small, inoffensive cracks or holes. As the roots continue to grow, they cause further damage to the pipe, as well as obstructing wastewater flow. 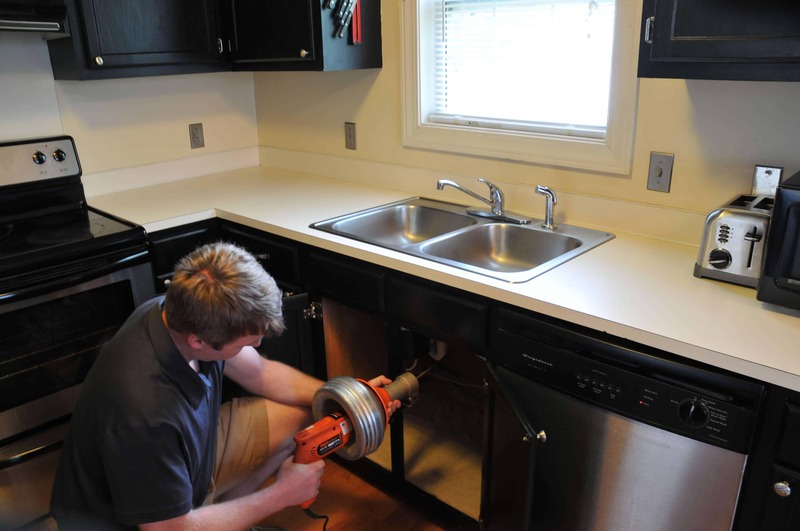 Broken drain pipes or sewer pipes generally require professional repairs. Trenchless sewer repairs provide a non-invasive, no-dig solution for broken sewer pipes. Using pipe lining, or pipe bursting for sewer replacement, local sewer and drain plumbers can fix leaky, broken pipes without digging up your yard. 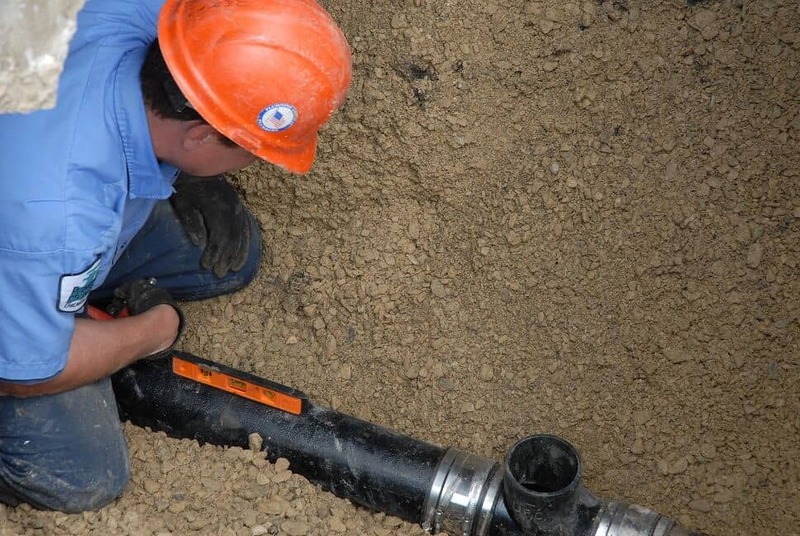 Sewer repairs and pipe replacement for copper, cast iron, and PVC sewer and drain pipes will last for years, helping you avoid any future sewer problems. At A1 Sewer & Drain Services, we’re available 24/7 for emergency sewer repairs, sewer and drain pipe cleaning, sewer replacement, and more in Bergen County and Northern and Central NJ. Our friendly NJ sewer plumbers are always available to solve your problems quickly and affordably, with same-day service in less than an hour from your call. To find out more, call us any time at 201-645-0888.